The work on the new footpath at the Queen’s Road junction is now complete. The last main part of the work was the installation of railings alongside Victoria Park Road. The reason for the railings is to discourage the creation of any new desire lines, the informal footways which get created by people taking short cuts. The new footpath follows the main desire line which did exist, but there were two others cutting across the area as well. With the new footpath and the protection created by the railings the whole area will revert to more attractive parkland rather than a maze of muddy tracks. Overall it looks good and is a big improvement to this part of the park. Just how much of an improvement it is can be seen from these two photographs. The first shows the area before the work began. The second shows how it is now. Hard to remember how bad it looked before! We should also be getting an archway over one of the entrances to the park at Queen’s Road. 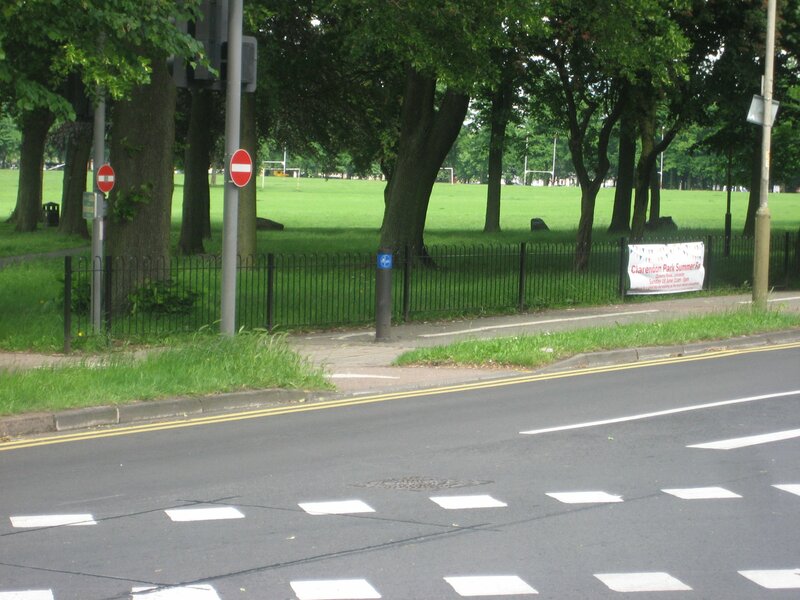 It used to be at an entance to the park near to the old car park area before the Centenary Walk project began. When the work began it was removed and saved and will be re-installed at Queen’s Road. 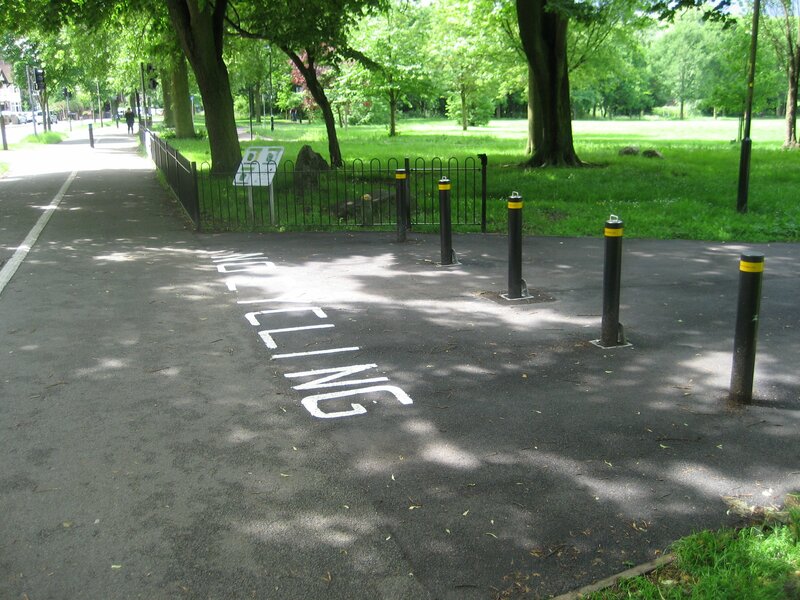 It is metal and has the words Victoria Park in a curve over the top. It will span one of the footpaths and give the Queen’s Road entrance something more of a presence than it has at the moment. These two changes together make this entrance to the park much better for people to use, and it looks much better too. They show how quite small changes can make a big difference to the park.